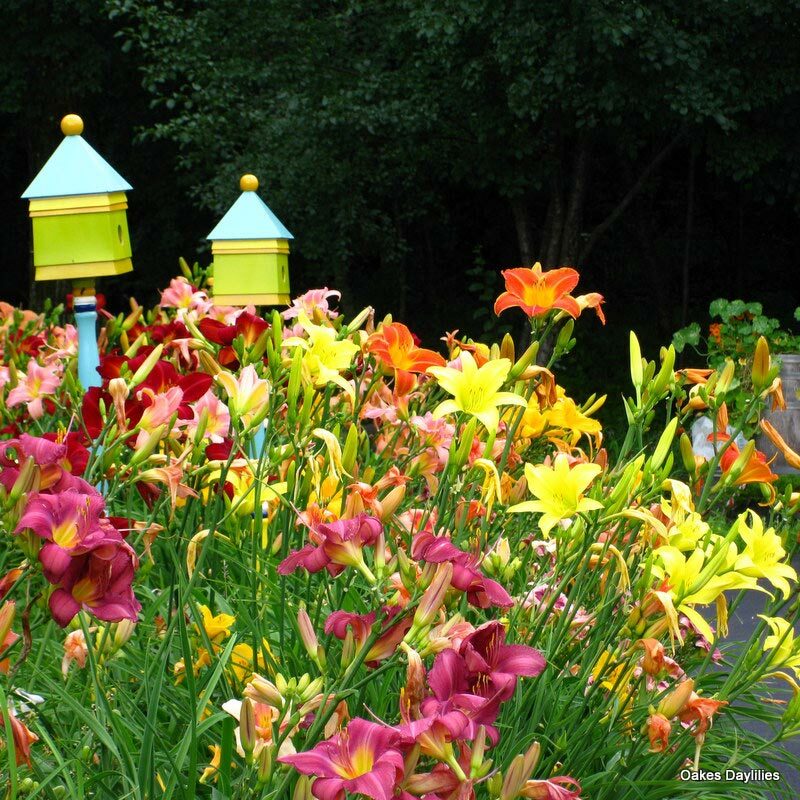 For carefree color on a budget, you can’t beat our Select Mixed Daylilies. These plants will be the same large size as our named varieties, just without names, and will include a range of colors, bloom sizes, shapes and heights. 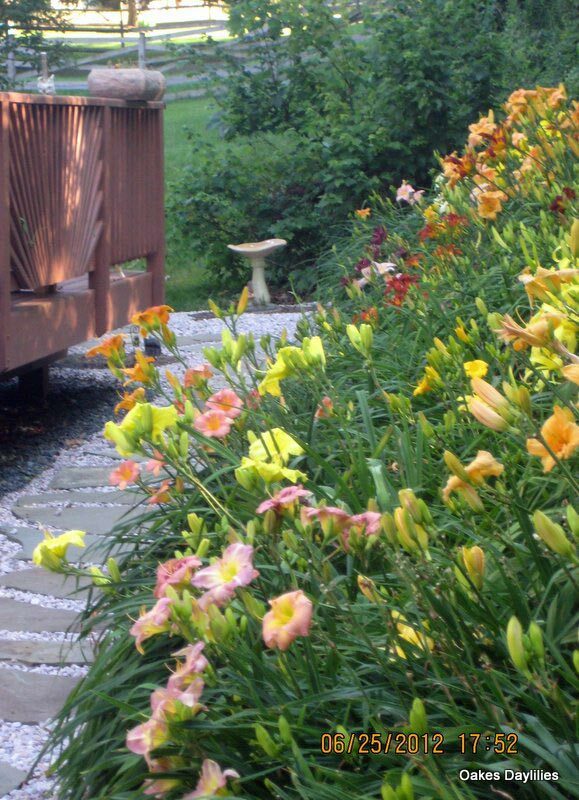 This gorgeous mix is great for the landscape, hillsides, along water or wherever you want some easy-to-maintain color. Got 10 of the Select Mixed Daylillies. Loved the assortment of colors and styles. 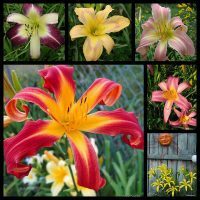 I ordered a dozen mixed daylilies last year in mid-July 2017, and planted them in a new raised garden bed beside a garage in early August. This is their first summer here (coastal New England), and they are blooming beautifully! 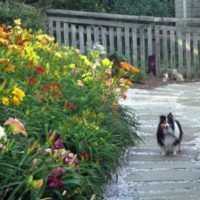 I am so impressed with the variety I received – not knowing their colors or sizes, I knew this year would be a pleasant surprise when the blooms started coming out. There are some monster-sized spider-type blooms, blooms in pink with dainty yellow ruffles, bright orange with yellow stripes, huge red ones on lofty stalks, and rich purple ones with bright lavender eye-zones. All are sturdy, holding up to some harsh summer thunderstorms, and have been regular, and even prolific, bloomers. It’s a treat to see the new ones every day! They have certainly intrigued me to pick out some additional varieties on my next order. I’m on your website today preparing for my next order. I got your name last year from “Garden Watch” (Dave’s garden website). My first order was last year. 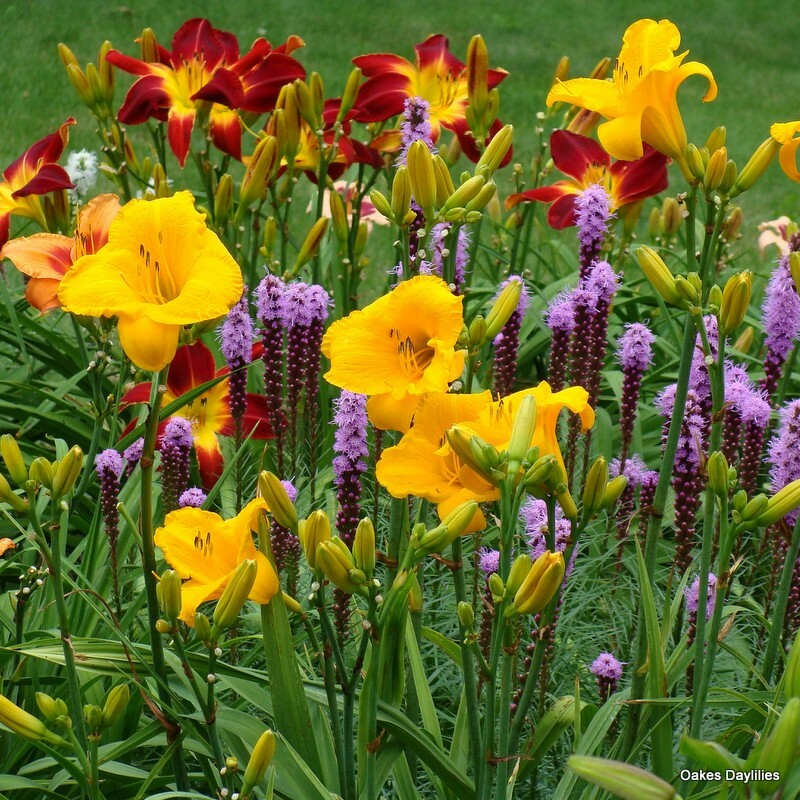 I’m a gardener but day lilies are new for me. I didn’t follow your planting directions (sorry!). I didn’t water them and I gave them no fertilizer. I planted them all in my English ivy bed on a hill. 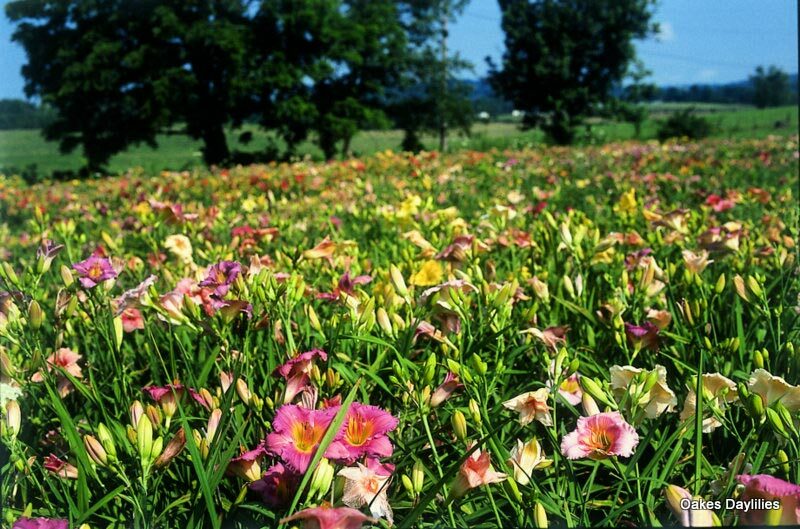 All of the lilies bloomed profusely this summer. I can’t tell you enough how this purchase was the biggest “bang for the buck” I’ve made in years! My purchase last year (and this year) has dramatically improved the looks of my garden far above the money spent and my planting effort/time. Oh! I even called your customer service with a question about early/late bloomers and she was so nice and extremely knowledgeable. I can’t recommend this company enough!! I think I’ll order a catalog and leave it on the break room’s table at work for others to see! 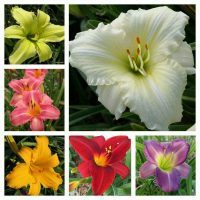 I had ordered bulbs from another daylily site and was completely disappointed, they refuse to return my calls. So, I could not believe the quality of my shipment. 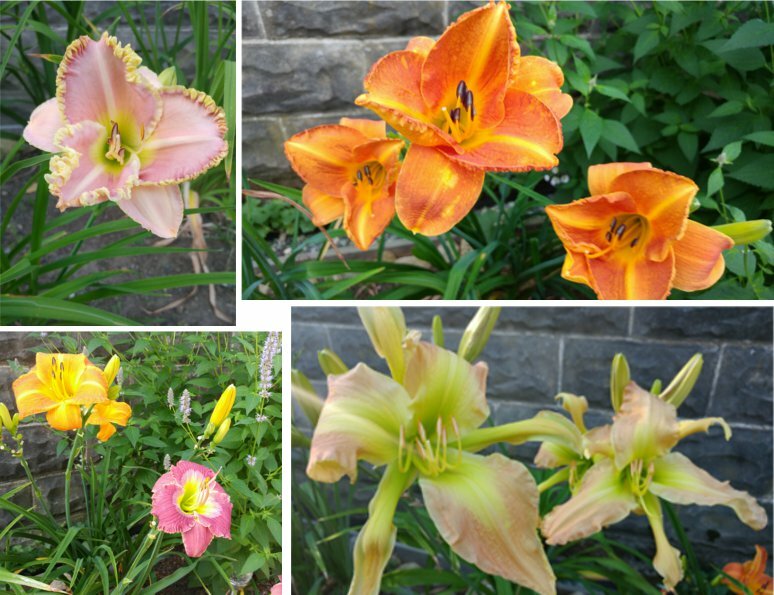 This mixed selection are the first to bloom in my daylily garden. The colors are beautiful. 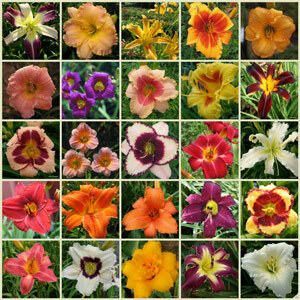 Purchased my Select Mixed Daylilies (50) in March for an April delivery. Shipment arrived in two large boxes on the day I had requested to SE Wisc. Divisions all were fresh and appear healthy. The average division contained 4-5 fans, the minimum being three and as many as 6-7 fans in others. Won’t know how my color distribution turned out for a while but will update later. I did pot all 50 plants and they are thriving three weeks later. 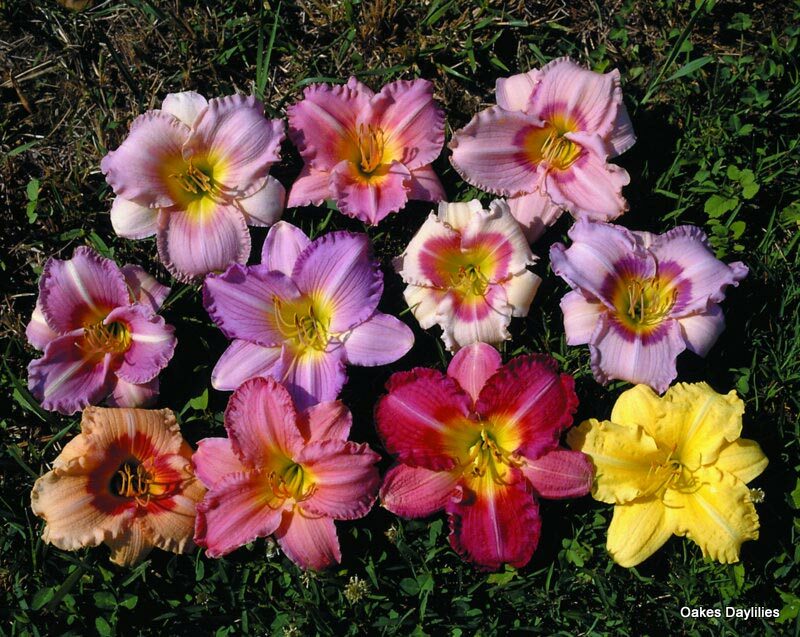 Once I know the colors I will transplant to my many daylily beds. I bought this Mix in March and they are blooming. 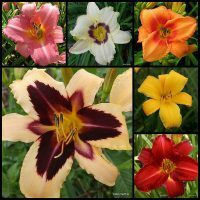 Very pretty blooms – a mix of small and large blooms which is very nice – my only issue is that i received alot of yellows, with very few of the reds, purple, pinks mentioned. I guess one would have to order the larger numbers ( small garden i only ordered the 25 mix) to get more of the different colors. Other than that, it was a good price for the number of lilies . April 16th, 2012 OMG…Found your catalog in the hospital waiting room and was impressed by the number of varieties it showed. 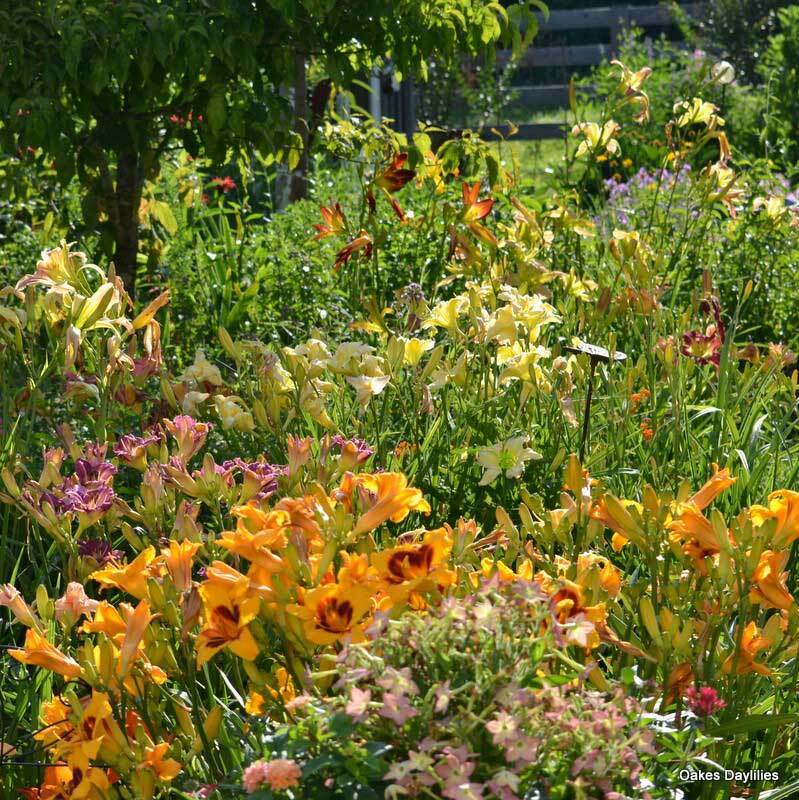 My sister and I go to a local daylily farm (private)each May and buy daylilies. Although they have lovely lilies your prices are much better. I was so happy when I recd my order from you this week! the plants where huge and you sent me so many free ones. Thanks you so much!!!!! I am definately going to buy more and I have requested a catalog be sent to my sister!! !..Thanks again!!! I AM IMPRESSED!!!! Connie Bozeman, Monticello, Fla.
You guys are amazing … I got my collection of 50 random plants (and your very generous bonus plants THANK YOU!) 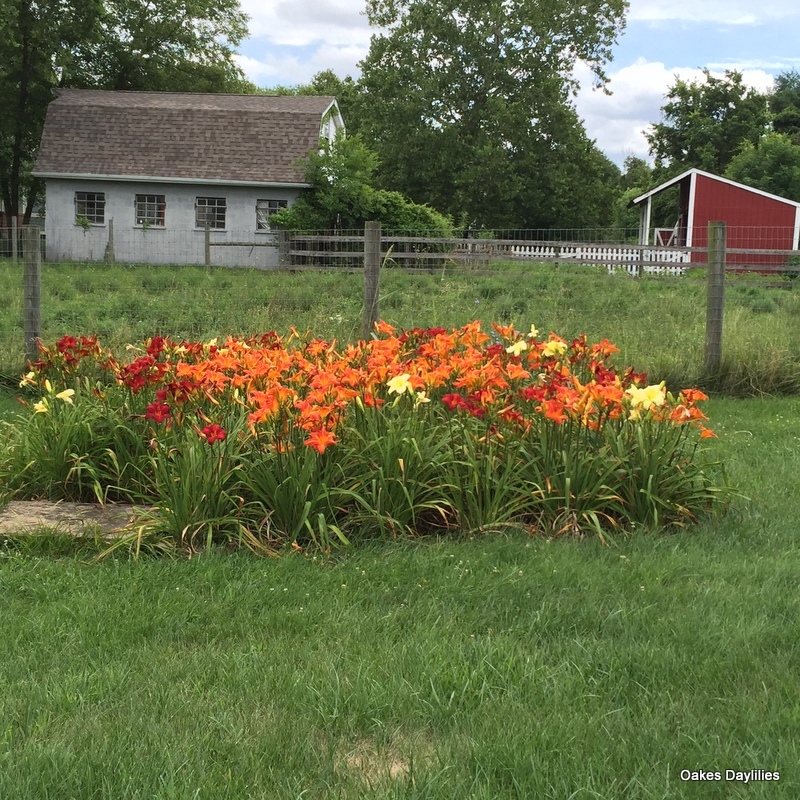 in March … planted them as soon as I could here in NJ … and now, just 3 months later in June many are already blooming! 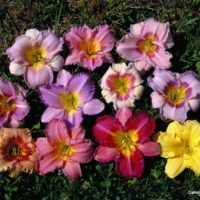 And they’re beautiful — I’ve got peach, purple, bright yellow… and some of them are HUGE, I’d say 6″ flowers, very eye-catching. The quality of the stock you send is outstanding, so healthy. I could not be happier!!! I just received these on June 11th, and was amazed at the large size of these plants; and how well packed they were. I planted them the very day they arrived; and now they are already sprouting new growth (it’s only the 13th)! I am so pleased with my order; I can’t wait to see the colors I received! I am already preparing for a 2nd order! Oakes has the best customer service of any company I have seen. I have ordered flowers for myself and as gifts for a few years now, and every year I am amazed at the quality of their products. 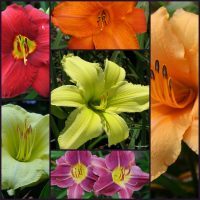 I have always bought daylily from numerous mail order companies but this is the first company with such exceptional quality plants i have seen. I saw the picture in the catalogue of th elady holding this large fresh triple fanned daylily and i thought, “this could not be the way it looks out of the box after delivery?”, but the it was, looking like it was just dug out of the ground delivered by my UPS guy. 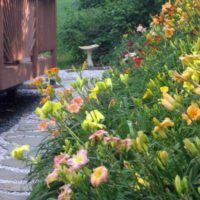 I just got them this September so it has not bloomed but have great expectations based on the quality and quantity of the ten mixed daylilies i purchased. Try it. 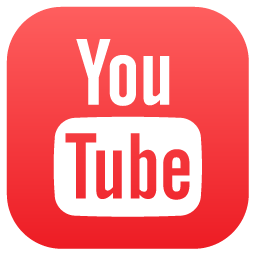 You will not be dissapointed. I received my daylilies about a month ago and I figured I would have to wait until next year to see the blooms. 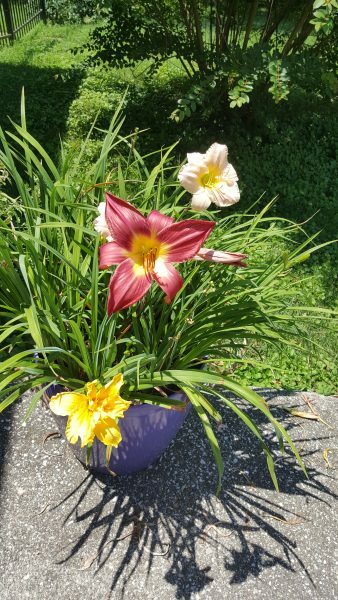 It is the beginning of August and yesterday two of the daylilies bloomed! I was so excited. I have 3 more that will be ready in the next couple of days. All of the plants are up and healthy too. I received 50 plants for Mother’s Day and they started bloming within 3 weeks. 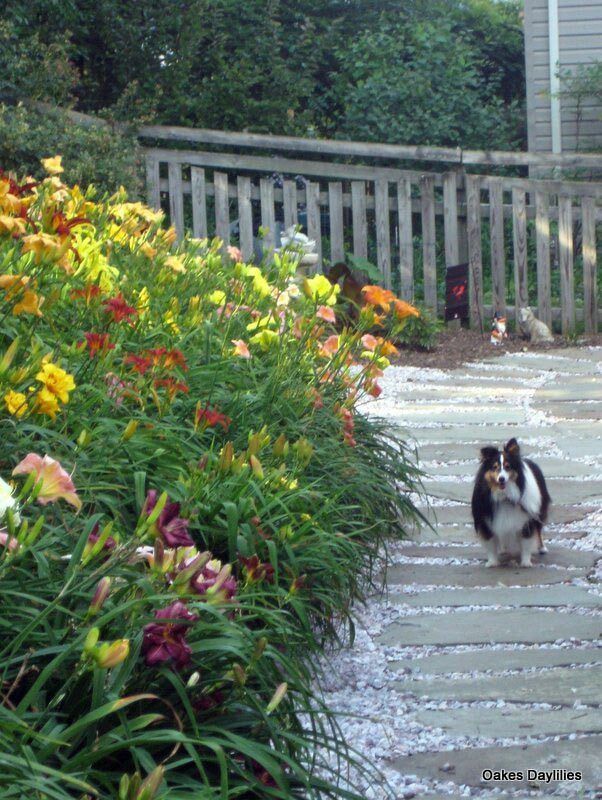 I was so excited that my new gardens have so much color already – looking forward to enjoying them all summer! Incredible!! I planted my daylilies 2 weeks ago, and they now have buds on them. I can’t wait to see the colors of my collection. Thank you!! I received my plants the first week of April and got them all into the ground the same day. Each plant came up this summer and provided magnificent blooms. I am extremly happy with my purchase! I planted this collection in early July 01 in the west-facing bed at the front of our new home. This spring I have been delighted with the beautiful color which has lasted for over 4 weeks and still shows promise of more blooms to come. 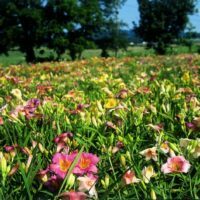 I have even been inspired to join that San Antonio Daylily Society to learn more about my beautiful plants and meet other growers in my area.